Turn toward success! 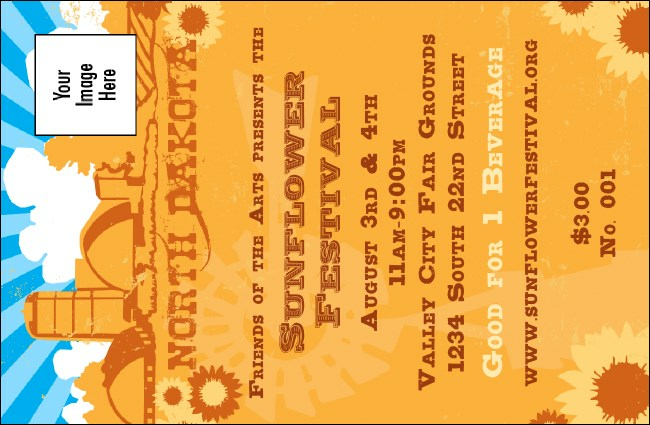 Like the beautiful sunflowers on this North Dakota Drink Ticket, your organization can shift its gaze toward financial independence with a little extra revenue. Drink Tickets help you sell drinks, in advance or at the door, while giving your bartenders a break. Or reward your favorites with free drinks!